We know how stressful and overwhelming significant damage to your home caused by mold, water, or other damage can be. Our courteous and prompt professionals will do everything in our power to alleviate that burden for you so that you can focus on your family. Don’t let water or mold damage destroy your peace of mind. 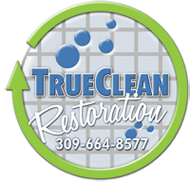 Call the experts at True Clean Restoration today.